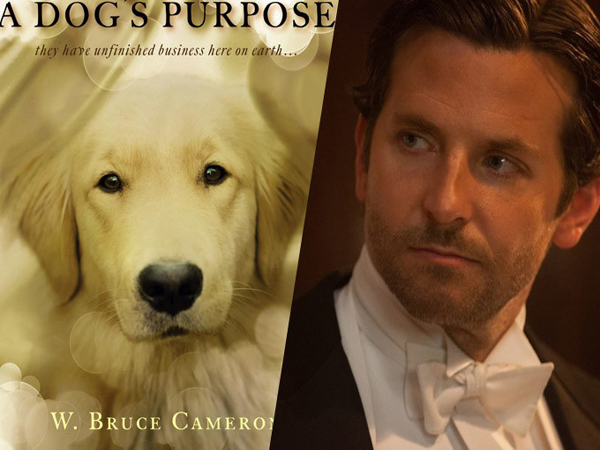 If you’ve ever wondered what ‘A Dog’s Purpose‘ in life is, there’s a film, based on the book, that can help you with that. Author W. Bruce Cameron, who achieved stardom with ‘8 Simple Rules for Dating My Teenage Daughter‘, released the story in 2010 that chronicles a dog’s journey through several lives, through reincarnation, and how he looks for his purpose through each of his lives. Lasse Hallstrom, the director responsible for the tale of another special canine with ‘Hachi: A Dog’s Tale‘, is directing the feature. Britt Robertson, Dennis Quaid and Peggy Lipton star in the project with Bradley Cooper starring as the inner voice of the pooch. Purpose hails from production companies Dream Works Pictures, Amblin Entertainment, Reliance Entertainment, Walden Media and distributed by Universal Pictures for a slated release date of January 27, 2017. This entry was posted on Monday, January 25th, 2016 at 6:47 pm	and is filed under Books, Film, News. You can follow any responses to this entry through the RSS 2.0 feed. You can skip to the end and leave a response. Pinging is currently not allowed. « Larry David Set To Host ‘Saturday Night Live’ In February!! !